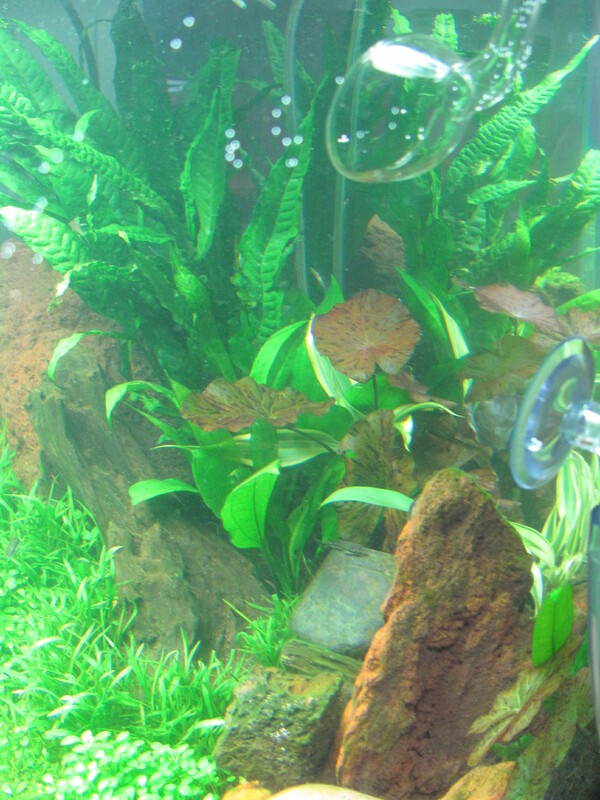 I have read that planted tanks should have a filter flow rate that turns over the tank volume 10 times per hour. My filter, the Eheim classic 2213 claims a flow rate of 120 gallons per hour and I just tested mine. It’s flowing at about 78 gallons per hour. My 36 gallon tank, heavily planted with lots of rock and substrate, probably has just 31 gallons of water in it, all said and done. So it’s turning over the tank volume just 2.5 times an hour. The tank has been set up for two months. The plants are growing the fish are healthy. I think I’m just taking a wait and see approach on this. Maybe it’s not ideal but it ain’t broke, so I’m not fixing it.